If you have a bullish or a bearish view in Nifty, here are some tips to help you make most money in a Nifty trend. Before reading please understand that this article is written for people with some knowledge about futures and options. 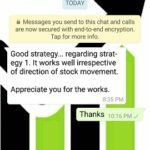 As Nifty does not have any stock, it is only apparent that we use futures and options to give some tips on making the most money. If you have no knowledge of futures and options – please get some knowledge before reading this article. 1. You can buy Nifty futures if you are bullish or sell futures if bearish. A future will go up or down 1:1 in the same ratio as Nifty. Yes it does have a premium. But in any case it increases 1 point with every 1 point raise in Nifty and decreases 1 point in every 1 point decrease in Nifty. So even if it has a premium, you need not worry. 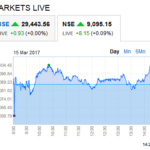 You should realize a profit of almost 100 points if nifty actually raises or falls 100 points from the point you bought/sold the future. If your view was wrong, your losses will also be the same. Well whenever you are trading you must keep in mind that you will not be right 100% of the time. In fact it is nearly impossible to be right more than 60% of the time. Here is where it is important that you hedge your position even if you are absolutely sure of the move. Since the derivatives gives you a huge leverage, doesnâ€™t it make sense to use some of it to protect your losses to some extend? These financial instruments are dangerous if not used wisely. You should be willing to sacrifice a percentage of your profits for the sake of protection. If you are wrong, which you will be many times during the course of your trades in one year, your protections will keep you in the game. Moreover with futures your timing has to be excellent. If your view was right but you timed it wrong, you will still end up putting a stop loss to your contract. For example if you were looking at 20 points profit or 20 points loss. You could hit a stop-loss only to see that Nifty actually moved in the direction you predicted. There will be heart burn, but then you have already lost it and there is nothing you can do to reverse it.So how to take on the ride? ONE – If you have bought futures, simultaneously buy a slightly OTM (out of the money) put, and if you have sold a future, buy a slightly OTM call. Now you are protected at least to some extend. 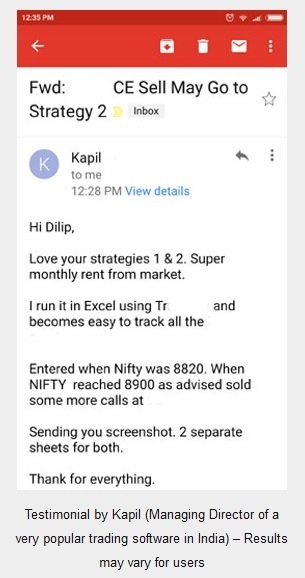 Remember this – this strategy WONT work if you wait till expiry. In fact in real world of trading you should not wait till expiry at all. If you have made a profit, move on to next trade. Why wait till expiry? A wining trade may become a losing one in few hours of trading, let alone days. Today you are winner, tomorrow the same trade may be losing – so why keep yourself on the tenterhooks till the expiry day? You also save time and unlock trading cash once you book a small profit. Waiting till expiry is a foolish move. You will rarely win in the stock market if you trade derivatives and take it to expiry. Expiry day is also too volatile, and you wont have anytime left to do anything. You will be left praying if a wining trade suddenly goes against you. And praying to win in the stock market is another topic. When you achieve your target, just close the trade. Agreed you will have to take a loss in your protection. But it will give you enough strength to stay in the trade if its going against you. Depending on how far OTM you have bought, at least you will keep getting back some of you losses from these options. Yes you will lose money if you were right in these options – but this is a limited loss and your profits from the futures will surpass this loss. Buy the same number of lots as that of the futures. Yes if you are too far OTM or you are getting options at a very low cost (low volatility), you can buy a few extra. You wont believe if you were absolutely wrong (a strong move against your trade) – the extra options will actually bring in more profits than your losses in futures. But you got to do some math before buying protection. 20% of your profit target should be good enough. Do not spend too much on buying protection. Remember if you are right you should be rewarded for it. The protections will eat away your profits. So use your brain, do some math before buying protection. TWO – This one is more popular. If you have bought a future, you can sell at OTM call. Now if your view was right, you will make money in your future buy, but you will lose some in your sold call option. But if you were wrong, you will recover some from the profits you will make in selling your call option. However if you are right, your profits are limited. Why? Because the losses in sold call, will offset the profits you make in the future. Lets take an example. Here is a tip: What about combining ONE and TWO? If you are bullish, buy a future, sell a call and buy a OTM put from the money you got from selling the call. You must be thinking wow what a great idea. Well everything comes at a cost. Here your max profit will be even less than the option TWO as if you are right, you will make money from the future, but lose on the short call and the bought put. Since you cannot buy deep OTM puts as they wont make sense, you may have to put money from your pocket to buy that put. What will be your payoff? 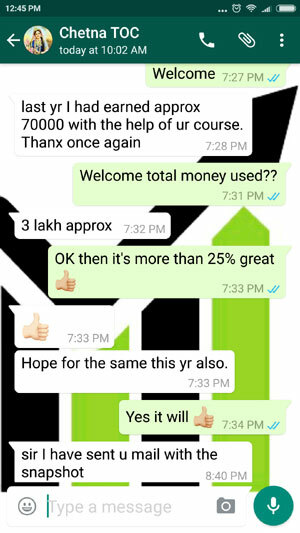 Exact calculation is not possible but lets suppose you got 50 from selling call and you had to pay 50 to buy puts. If Nifty expires at 5800, you make 100 points from future, 50 from sold calls but you lost 50 form buying puts. Your total profit is 100 points. However if put was costlier than call, you need to subtract the difference from the profits. And that is you max profit. However in this strategy your losses are not unlimited. If your view was wrong and Nifty closed at 5600, and supposing you had bought 5600 puts for 70. You will lose 100 points in the future, your put will also expire worthless but you make 50 points from the short call. Your loss -100-70+50 = -120. This is also your maximum loss. Your max loss is greater that your max profits. 🙂 Well as you can see everything in trading comes at a cost. Similarly the above strategy can be inverted if the trend is bearish. You will then sell a future and buy a call or sell a put or both. The rest is self explanatory. Important Note: If you have not hedged your position in futures than it is important you play with a strict stop loss. Buying or selling future is a unlimited profit and unlimited loss strategy. Also you should make sure you take maximum profit. So do not put a target. If your target is reached go for a trailing stop-loss as much as possible. This way if market goes up even after hitting your target you will not miss out on future profits. However if there is a gap down opening you may rue your decision of not exiting and booking profits. It depends on the market conditions. If you think market may go even further you may go with a trailing stop-loss. There can be a gap up opening as well. But if you are in doubt, its better to take the profit and exit. 2. You can buy calls if the trend is bullish or buy puts if its bearish. This one the is most sought after trade done by retail traders in India. Why? Because its easy to do and its cheap. But is it really cheap? We will discuss. But of course it is simple. If the trend is bullish you buy nifty calls and buy puts if the trend is bearish. You buy low sell high. Isn’t it the simplest way of making money from stocks? This is one single reason that attracts traders. Everybody wants to buy low and sell high. Therefore this trading strategy is very popular. Search for nifty trading tips in Google and you will see ads full of nifty option tips. They will be much more than ads of futures. Why? Because someone with even Rs. 5,000 in their trading account can buy options. And they know they can get money from you. However for futures trading you need more money in your account – at least Rs. 20,000.00. How to hedge this? If you have bought calls then you should sell calls. So even if your bought options melts away, you will realize some profit from sold options. Unfortunately not many traders do this. If you make money from the bought options, the sold OTM options will not lose much. But if your bought options expire worthless, your sold options will expire worthless too and you will recover some money from them. However your profits will be limited, as the sold options will start losing money, if your bought options are making money and vice versa. Your losses are also capped at the money used to buy options. You cannot lose more than money used to buy options minus money got from sold options. 3. 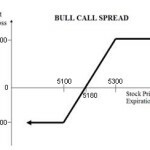 You can sell puts if the trend is bullish and sell calls if the trend is bearish. This strategy is mostly done by institutional investors and hedge fund managers. As you all know selling options is a limited profit and unlimited risk strategy. Therefore most retail investors stay away from it. However it is not as bad as it looks on the paper. You can always buy back your options if you get into losses. Where is the unlimited loss? In that sense even futures buying or selling is unlimited loss on paper. But retailers do trade in futures. However just like futures, selling naked options is very risky. How to hedge it? Best way to hedge is to sell a credit spread. You sell a OTM option and buy the same number of even further OTM options. If you do so, there will be credit in your account. This is a limited profit and limited loss strategy. Credit spreads and iron condors are very popular in the west as they are easy to mange. Most of the times a credit spread will expire worthless and you make money by doing nothing for a whole month. Great? Read this – trouble starts if the trend goes against you. Moreover the risk-reward ratio is very bad in credit spreads. Two bad spreads can eat away many months of profits. Therefore here too you should put a stop loss if the spread reaches a level you are not comfortable with. As you can see every strategy comes with their own pros and cons. However when nifty is in a clear trend you should go with the trend. Do not go against it, or else you will lose money. 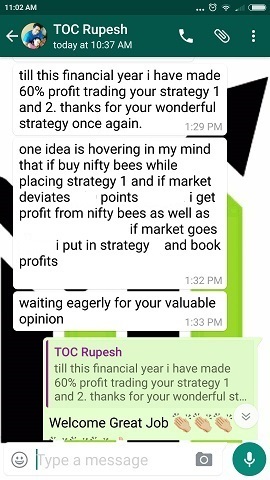 And if you have good strategy in place with hedging making money in nifty in a trend is not that difficult. Hedging any trade is very important. 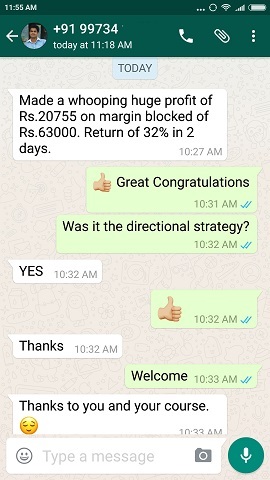 If you love to take Nifty Future trade in a trend I highly recommend my course where in the directional strategy you will learn how you can hedge Futures with options. If you are right you will make money – but you make money taking a Future trade anyway if you are right. So whats so great about the strategy in my course? It is that you can make money even if you were WRONG in your Nifty Future trade. Yes if you were wrong the options’ delta increases more than the Future delta and you can make money. For that to happen Nifty or the stock has to move fast against your trade. For more information please read about the course. I am highly obliged that I found myself as better enlightened on this important topic and this is going to be most helpful to enjoy stock market in a better way hereafter. Thanks a lot. Glad that it helped you in some way. Thanks manohar. Hope you keep reading my blog and please spread the word. Thank You Abhishek. Glad that that you liked. 🙂 Please do keep coming back and keep reading. I want to do Nifty50 trading in options, can i buy and sell at any time? Or I will have to wait till contract expiry? Where can I get material to read futures & options trading details ? You can buy and sell at any time. Only thing is you will have to close your trades on the expiry day especially if they are Futures or In The Money Options. In India everything is cash settled, so their is no exercising. The best article for beginers to learn basic in Futures and Options and Hedging them to limit the losses. As most of them buy or sell futures or buy a call option or buy a put option and never go for hedging. I am glad MR. RAGHAVENDRA that the article helped you. Thanks for reading. Am a beginner, searching for some useful info to built a strategy for trade. Found your information very useful to narrow down the strategy. Thanks Dilip…Best wishes…. Thanks Suresh.. Happy that it helped you.. please do ask any question you may have. The best content, for some useful info to built a strategy for trade. It’s gives the important information to all investors.